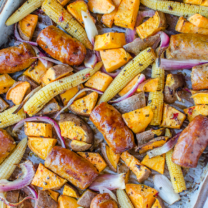 Everything your family wants for dinner, all in one pot. 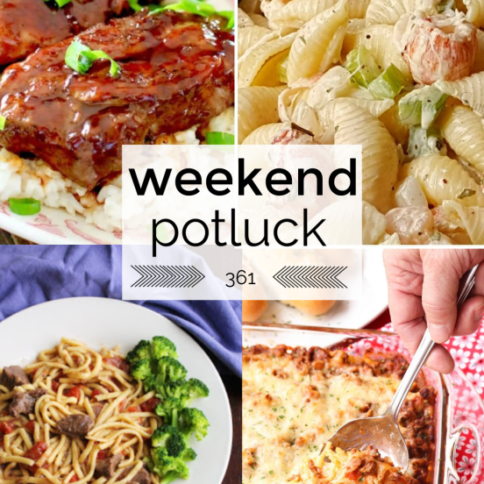 If there’s one thing a busy cook can always use more of, it’s one-pot meals. 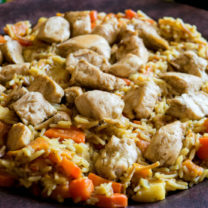 Think about it: only one dish to prepare, and only one pot to clean afterwards. I’ve come up with dozens of them over the years, from beef goulash to pineapple chicken rice to pierogies. 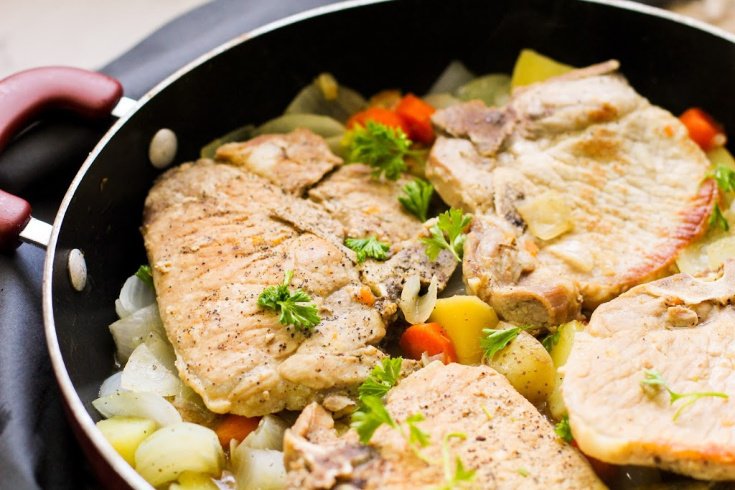 But one day it hit me: I’d never done a one-pot meal with pork chops. How could I have overlooked this? 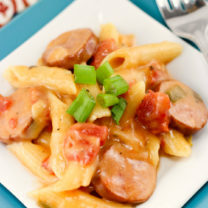 Such a classic, family-friendly dinner, and such a convenient way to cook! They were meant to go together! Well, the problem is fixed now. 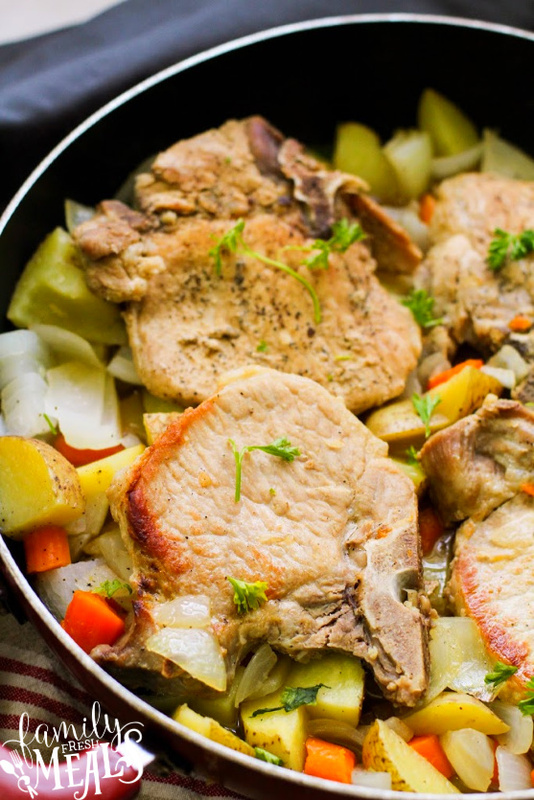 My One Pot Pork Chops and Vegetables has everything you need for a great pork chop dinner – juicy pork chops, potatoes and carrots, onions and garlic – all in one pot. 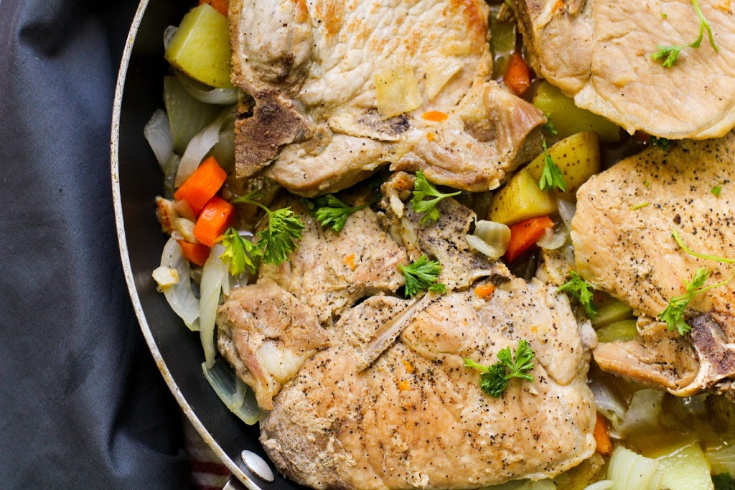 All you have to do is give the chops a quick searing in some butter, then surround them with veggies and beef broth and simmer it all together. In half an hour, you’ll have tender veggies and pork chops done to perfection, with just a hint of pink in the middle. 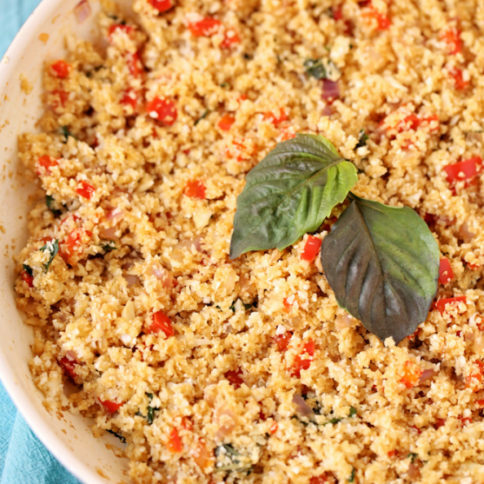 You can even serve it straight out of the pot and make the cleanup even easier. 1. Spray 12-inch nonstick skillet with cooking spray. Heat over medium-high heat and melt butter. Cook pork chops in skillet about 3 minutes each side, until golden brown. 2. 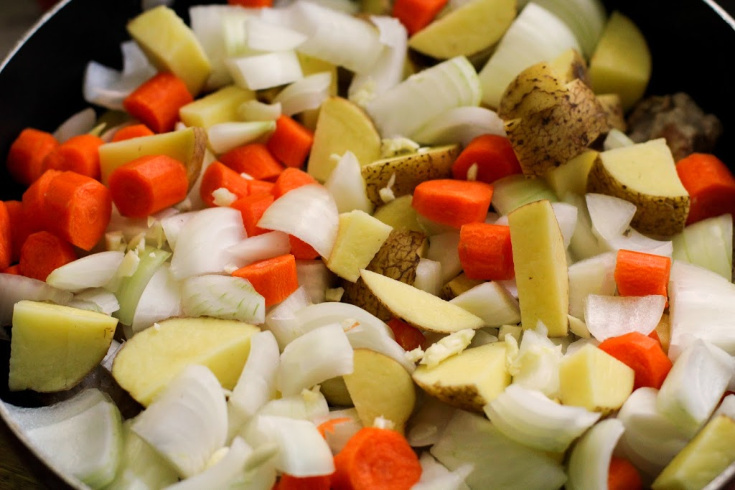 Add broth, potatoes, carrots and onions and garlic to skillet. Sprinkle with salt and pepper. Heat to boiling and then reduce heat to a simmer. 3. Cover and simmer about 30 minutes or until vegetables are tender and pork is slightly pink when cut near bone. Sprinkle with parsley. 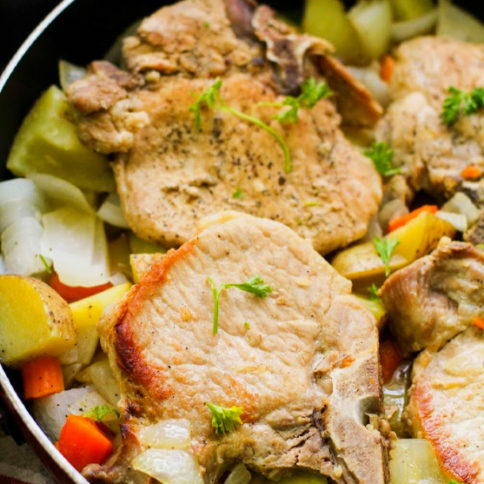 My One Pot Pork Chops and Vegetables has everything you need for a great pork chop dinner – juicy pork chops, potatoes and carrots, onions and garlic! Spray 12-inch nonstick skillet with cooking spray. Heat over medium-high heat and melt butter. 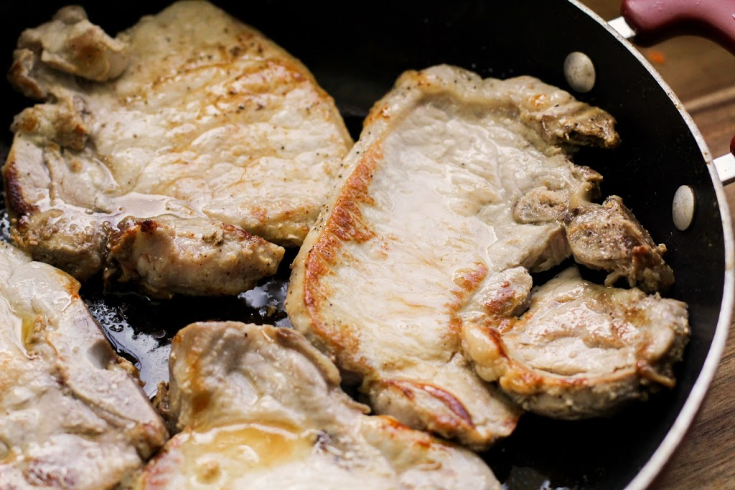 Cook pork chops in skillet about 3 minutes each side, until golden brown. 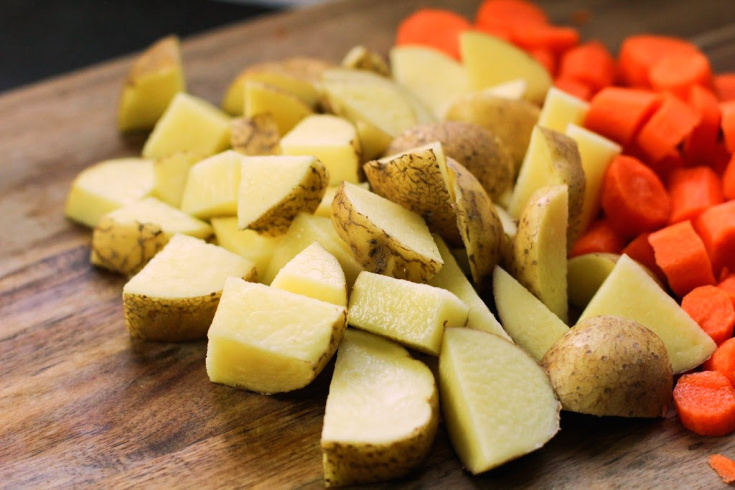 Add broth, potatoes, carrots and onions and garlic to skillet. Sprinkle with salt and pepper. Heat to boiling and then reduce heat to a simmer. Cover and simmer about 30 minutes or until vegetables are tender and pork is slightly pink when cut near bone. Sprinkle with parsley.